Singapore (VNA) – Singapore and Turkey have ratified a bilateral free trade agreement (FTA), marking a new milestone in their relations. 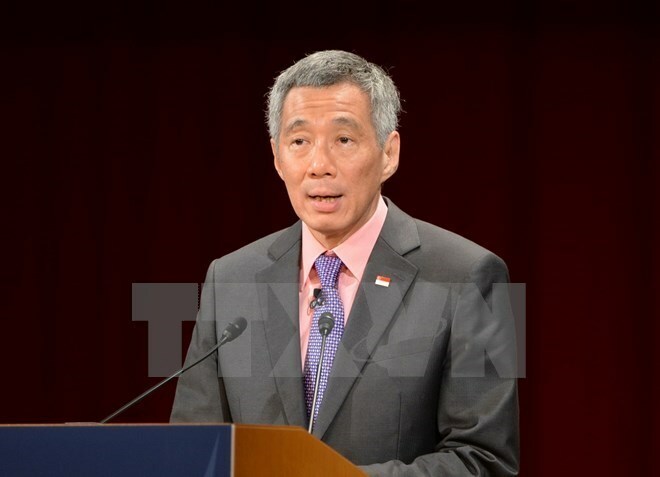 The agreement will take effect on October 1, said Singaporean Prime Minister Lee Hsien Loong at a joint press conference on August 21 in Singapore after meeting Turkish PM Binali Yildirim, who is on his two-day visit to the Southeast Asian country from August 21-22. The deal is a significant milestone in Singapore and Turkey’s relations, he said. Meanwhile, Turkish PM Binali Yildirim said the FTA will boost trade between the two nations. The agreement was first signed in November 2015, covering a series of fields such as services and e-commerce. In 2016, Turkey was Singapore’s 46th largest trading partner, importing goods worth 1.41 billion SGD (over 1 billion USD). The same year, the Southeast Asian country imported goods from Turkey amounting to 753 million SGD (about 545 million USD), mostly comprising petroleum oils, turbo propellers and parts and semi-manufactured silver. The two countries signed a Strategic Partnership in 2014.